Looking for a sweet way to make mom’s day? Take your pick! 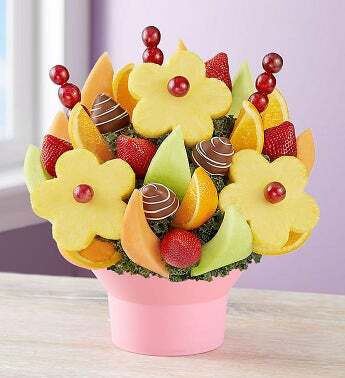 Our festive fresh fruit bouquet features juicy, daisy-shaped pineapples, dipped strawberries and more, artistically arranged in a pink container. As unique as it is sweet, it’s the kind of gift Mom will love sharing.